Jack of all trades. Wearer of many hats. Sound familiar? If you own or run a small business, these nomenclatures fit. But at what point do your patience, knowledge and good intentions get stretched too thin? For sure, human nature plays a part in wanting to be the person that can do and accomplish everything on their own. It could be derived from the sense of satisfaction it brings, or you could be ego-driven or just a control freak who wants to handle everything yourself. But let’s be honest: we as humans cannot excel in everything we need to get done in running our small businesses, especially if we want to make the best use of our time and money. Granted, there are heaps of things required of you when you are an SMB owner. But can you really be self-sufficient in all of these areas: HR, payroll, IT, customer care, accounting, manufacturing, shipping & receiving, mailing services, training, PR, security, and the many other elements that go into making a success of your business? Of course not. That’s why we rely on either having internal staff that are experts in managing these departments and tasks, or hiring outside firms that provide the services we need. As a business owner, you need to examine each of these areas and decide whether it’s best to keep that task internal or farm it out. 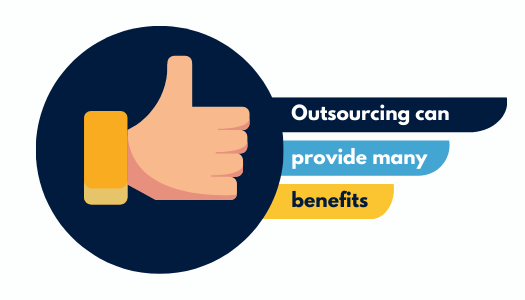 The important factors to consider when deciding whether to outsource include, but are not limited to: the cost of outsourcing, the time you’ll save on not doing these tasks yourself or keeping them in-house, the time spent managing the outsourced relationship, and the effect on company morale. You also need to contemplate your own expertise and strengths in addition to those of your internal resources. And some tasks that are repetitive or tedious but are necessary for the success of your business could best be outsourced to a firm that specializes in that task. Save money – Even though you’re spending money to have someone else manage a certain part of your business, it could result in lower costs in the long run. According to Microsourcing.com, 59% of companies cite “Cost Cutting Tool” for the reason for outsourcing. Improve efficiencies – Your productivity could be boosted because you’re having an expert in that field perform those tasks. Reduce training – By finding a specialized company, you eliminate internal staff training. Keep you focused – You can continue to grow your business by concentrating on core areas that will help you increase revenue quicker. Provide knowledge – Rely on the company that is already an expert, saving you time and costly mistakes. Speed up time to market – Instead of taking the time to build a new department or hire additional employees, outsourcing could help you streamline the time it takes to get your business up and running. Cost – You will have to pay for the services provided. A cost analysis needs to be done to decide whether it’s more cost effective to outsource or to keep the task inside. Control – You may lose some oversight, and the task may be performed otherwise than if you kept it internal, so you’ll have to weigh the differences. Accountability – You’ll still need to manage the relationship and stay on top of the activities being performed. Risk – Your business intelligence will be accessed now by a third party. Are you willing to let others know of or, at the very least, be aware of your trade secrets? Time – Factor in the time it will take to find the right freelancer or business associate that can perform the tasks required. Culture – What effect will outsourcing have on employee morale, especially if they feel their jobs will be eliminated. So how do you decide which tasks or jobs would best be outsourced to a vendor? It comes down to a cost and time analysis, resource availability, and customer and employee impact. It’s best to outsource when you don’t have the knowledge or expertise within your internal staff and don’t have the means to hire and train. One of the more popular outsourced jobs is payroll. Even for a small firm with two or three employees, it doesn’t make sense to manage this job internally. To do so, you’d need to be an expert in tax law and payroll regulations. It’s not as simple as calculating the weekly wage and writing a check. There are deductions, taxes, disability, medical, 401K, and more that all need to be calculated and deducted from the gross pay. Staying on top of IRS regulations and state and federal laws could be a full-time job by itself. Evaluating the costs of using a payroll service is pretty cut and dried when you calculate the value of your time to stay on top of this complex process. Another commonly outsourced function is in the world of IT. If you’re an SMB owner, you might not even have an IT person on staff, but you still need someone to manage the server, internet connection, phone lines, PCs and printers. In this situation, hiring a firm with either a monthly maintenance contract or pay by the hour might make sense, especially if your IT equipment is newer and hopefully more reliable. This is an important outsourced task. For example, if your phone or internet lines are down, it can be very disruptive to your customers and your business. Having a company with good response times is a necessity. Customer care is another department that could possibly benefit from outsourcing. Think about the cost of keeping a 24x7 call center open. Instead, it might make sense to have internal staff handle the regular business day calls, perhaps 8am-8pm, and then outsource your overnight calls. This is common in the hotel industry and ensures that potential customers can reach you day and night without your going to the expense of manning the phones 24 hours a day. But you’ll have to consider the amount of training that will be needed, what type of access you’ll provide the third party vendor, and the quality of the agents handling the calls on your behalf. And of course, I’d be remiss in not mentioning mailing services. Look at your costs associated with printing and mailing customer invoices and letters. Some companies have an internal employee manage the mailroom process in their “down” time, but expenses include labor, materials and postage, and in some instances, monthly payments on postage meters and inserters. They really can add up. 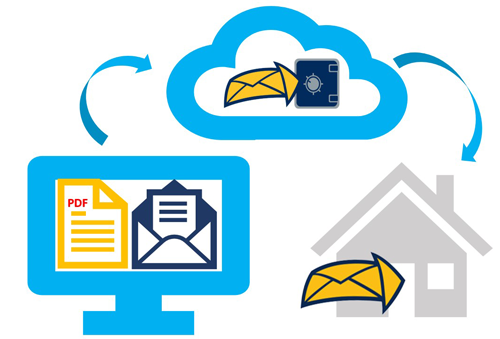 Finding a cloud-based mailroom service, such as DocuSend, can be an easy and cost-effective way to ensure that important documents are printed and mailed by the next day, usually at about half the cost of mailing them internally, while allowing your employees to focus on more productive tasks. 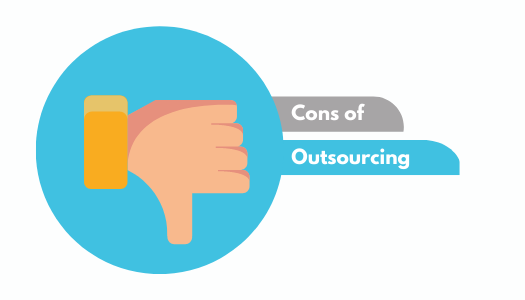 Is outsourcing right for your company? Only you can decide after careful analysis of the strengths and weaknesses of your internal processes and staff. Yes, it will take time to consider all the factors, but it’s time well spent if in the end your company will be more productive and profitable. Please help other SMBs by sharing your outsourcing stories and both the positive and negative effect outsourcing has had on the growth of your business. Alice Witherow is the Director of Marketing & Business Development for DocuSend. She spent 20 years in the telecommunications industry in marketing and product management before turning her focus to B2B marketing for DocuSend. Alice lives in Rochester, NY but loves traveling, especially to Charlotte, NC to visit family.